'Problem Child' Star Michael Oliver Resurfaces -- Wait'll You See Junior Now! Junior has more mischief to get himself into. Trixie: I think your dad likes my mom. Usually when a guy does that, I hit him with a car and I knock him down the stairs, I've gotta look out for her. But your dad, he doesn't bug me so much. Junior: And you know something? Your mom doesn't bug me so much. Q: What does Gilbert Godfrey mean, in his office, when he tells Junior he belongs "in cold river?" What is "cold river" and what does it mean to be there? "Worst" is a Strong Word! I question the credibility of any imdb user who calls Problem Child 2 "the worst movie ever made." Have these people ever seen The Jazz Singer with Neil Diamond? Armageddon? Movies which are actually meant to be taken seriously! Very often, it seems one will deem a movie "the worst ever made" when expectations are shattered. But come on! 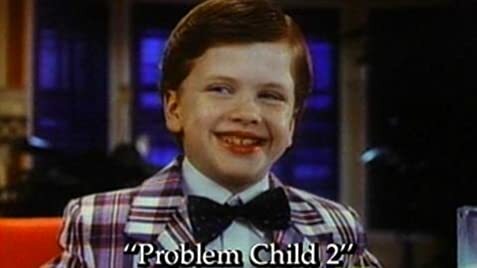 The title says it all- Problem Child 2!! What exactly DID you expect? I have a difficult time believing that Brian Levant was expecting any type of critical acclaim, or to be taken seriously. RELAX! Deep down, we all understand that juvenile delinquency is not humorous. Well...I shouldn't say "all." Bad kids crack me up!! 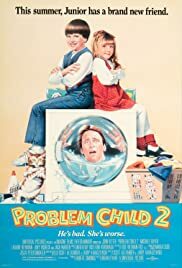 I loved Problem Child 2, and recommend it to anyone watches movies to be ENTERTAINED, not just to nitpick. To involve kids with cruel pranks, toilet humor, and Jack Warden was GENIUS! Junior Healy makes Dennis the Menace look like an Olsen twin. I wouldn't want to mess with him.